A complex quantum physical system may display emergent behavior that is very different from those of its individual parts. Precise descriptions of those phenomena, such as high-temperature superconductivity, are very challenging and usually require sophisticated numerical methods. Tensor networks, a powerful tool for simulating strongly correlated systems, have recently emerged as one such method. While they excel at predicting local observables, they are much worse at computing nonlocal properties that are a key ingredient for continuous phase transitions. Here, we show how to precisely extract that information from the commonly used uniform tensor network representation. This information is encoded in the correlation function and, more precisely, in the rate of its decay at very long distances. We analyze how the information is distorted by an approximation imposed by tensor network description. Understanding this allows us to provide a procedure to precisely extrapolate nonlocal properties of the quantum state. 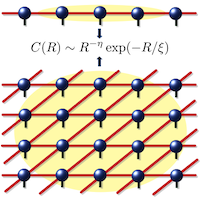 We also provide new insight into how the information about nonlocal characteristics of the exact quantum state is encoded in the uniform tensor network. This promises to extend the range of problems where uniform tensor networks can be accurately applied. Our method provides the means for detailed studies of phase diagrams of quantum models both in one and two dimensions. We have performed a systematic lattice dynamics study of the technologically important Fe3Si/GaAs heterostructure for Fe3Si layer thicknesses of 3, 6, 8, and 36 monolayers. The Fe-partial phonon density of states obtained by nuclear inelastic scattering at the ID18 beamline in ESRF exhibits up to a twofold enhancement of the low-energy phonon states compared to the bulk material for layer thicknesses of 8 monolayers and below. First-principles calculations explain the observed effect by interface-specific phonon states originating from the significantly reduced atomic force constants and allow for achieving a comprehensive understanding of the lattice dynamics of epitaxial strain-free interfaces. We show how to accurately study two-dimensional quantum critical phenomena using infinite projected entangled-pair states (iPEPS). We identify the presence of a finite correlation length in the optimal iPEPS approximation to Lorentz-invariant critical states which we use to perform a finite correlation length scaling analysis to determine critical exponents. This is analogous to the one-dimensional finite entanglement scaling with infinite matrix product states. We provide arguments why this approach is also valid in 2D by identifying a class of states that, despite obeying the area law of entanglement, seems hard to describe with iPEPS. We apply these ideas to interacting spinless fermions on a honeycomb lattice and obtain critical exponents which are in agreement with quantum Monte Carlo results. Furthermore, we introduce a new scheme to locate the critical point without the need of computing higher-order moments of the order parameter. Finally, we also show how to obtain an improved estimate of the order parameter in gapless systems, with the 2D Heisenberg model as an example. We study superconducting properties of population-imbalanced ultracold Fermi mixtures in the honeycomb lattice that can be effectively described by the spin-imbalanced attractive Hubbard model in the presence of a Zeeman magnetic field. We use the mean-field theory approach to obtain ground-state phase diagrams including the unconventional Fulde-Ferrell-Larkin-Ovchinnikov (FFLO) phase, which is characterized by atypical behavior of the Cooper-pair total momentum. We show that the momentum changes its value as well as direction with a change of the system parameters. 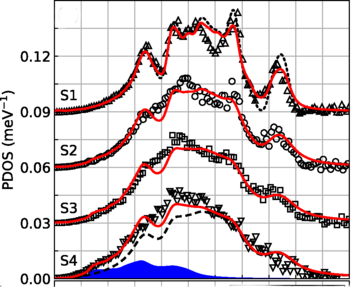 Moreover, we discuss the influence of Van Hove singularities on the possibility of the reentrant FFLO phase occurrence, without a BCS precursor. The spin-orbit coupling can lead to exotic states of matter and unexpected behavior of the system properties. In this paper, we investigate the influence of spin-orbit coupling induced by proximity effects on a monolayer of superconductor (with s-wave or d-wave pairing) placed on an insulating bulk. We show that the critical temperatures Tc of the superconducting states can be tuned by the spin-orbit coupling both in the case of on-site and inter-site pairing. Moreover, we discuss a possibility of changing the location of the maximal Tc from the half-filling into the underdoped or overdoped regimes. Ab initio studies of structural, magnetic and dynamic properties of nanomaterials containing transition metals. We have open positions for PhD students in the field of computational material science. The PhD work will be guided by the professors of the Department and will be focused on computational investigation of crystals, nanostructures and surfaces.